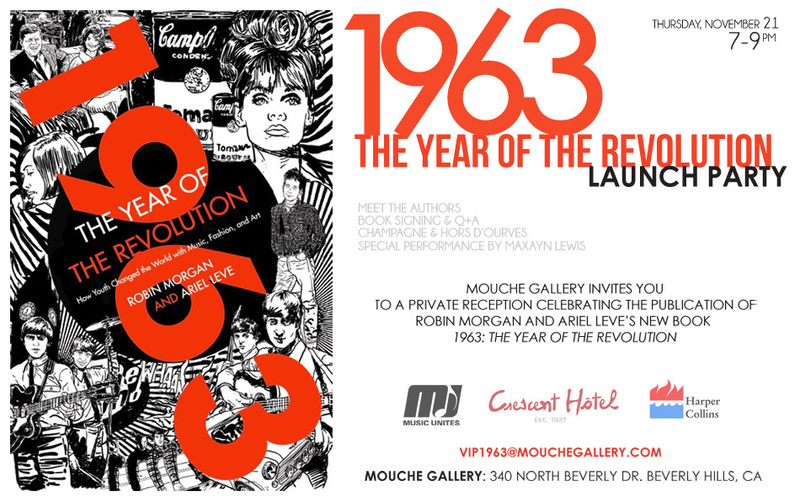 Join us for a celebration of the publication of Robin Morgan and Ariel Leve’s new book, 1963: The Year of the Revolution. Special Exhibition includes photography by Terry O’Neill, David Montgomery, Elliott Landy, Stephen Verona & Robert Knight. Original Art by Sean D’anconia, Ryan Graeff & Mindy Linkous.